YouTube embed module. This module lets you easily and quickly add YouTube videos to your product pages, home page, left and right column. The simple way of embedding YouTube videos into your store .This module helps you easily manage the growing complexity of YouTube embedding. 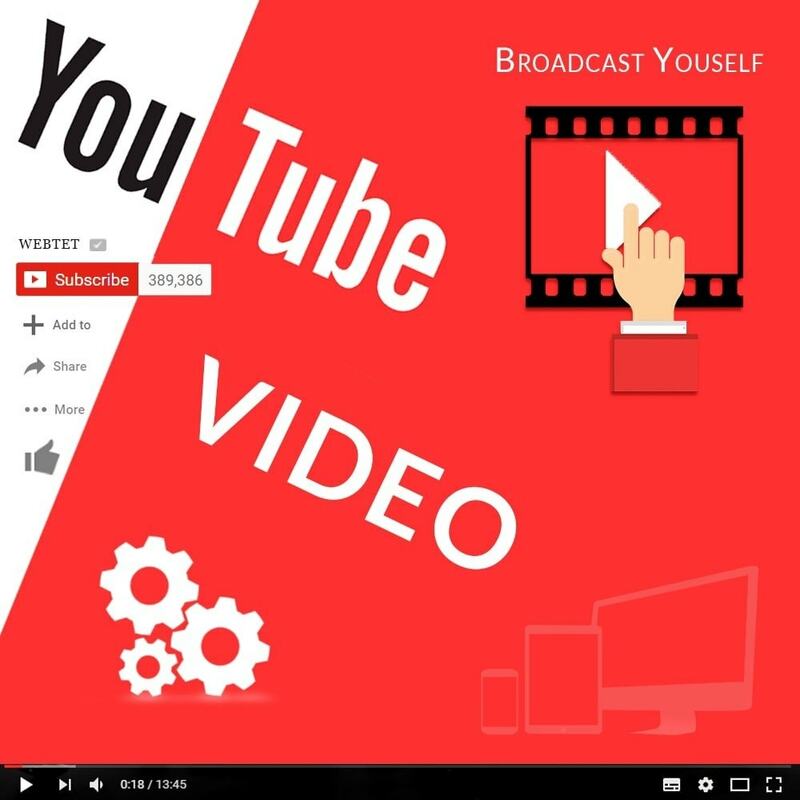 It provides a spectrum of basic and advanced features of the YouTube embedded player and will have you posting videos in seconds after installing it. Easy to use, but with custom features for those that need them. This is premium Module for your store. 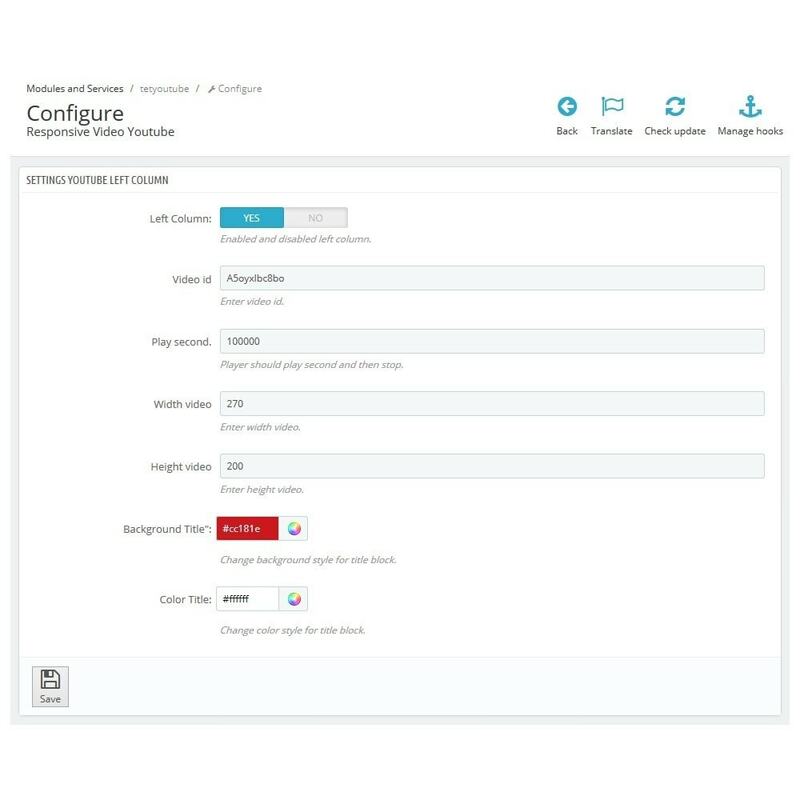 This module will help you change your store, make it more professional and engaging. With this module you give users a better customer experience. 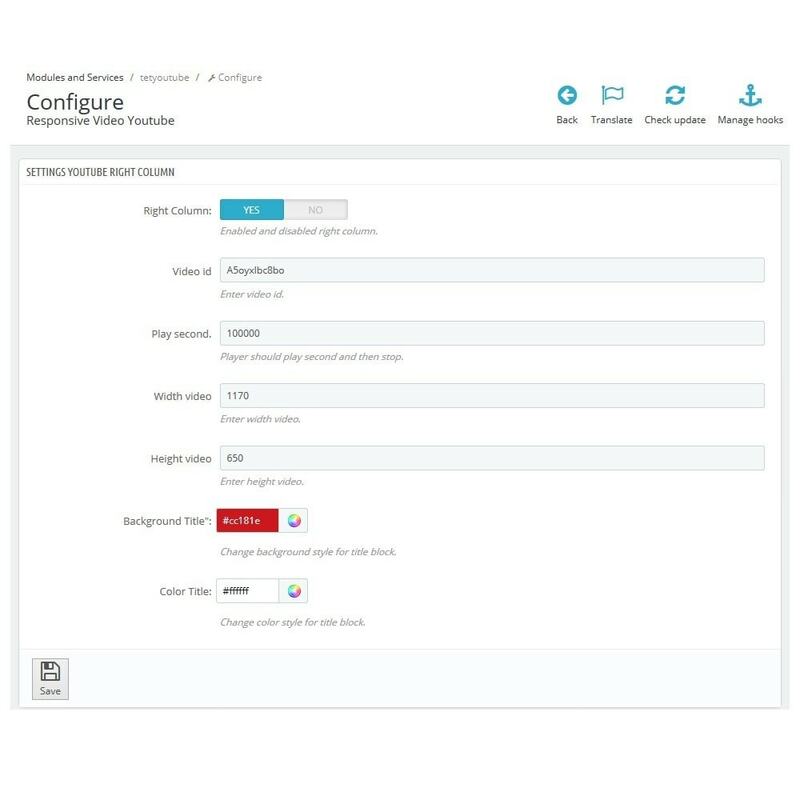 The module is ready to use as-is, although you can easily customize it to your liking with different settings (changing time for play, width and height of video, changing background and color style of title block) for any hook position. 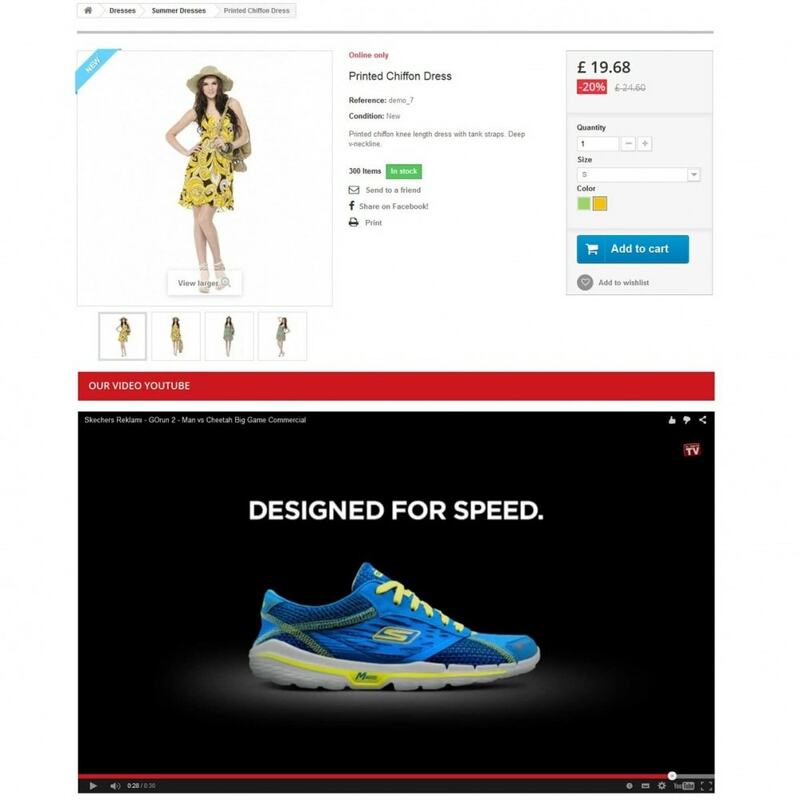 "Responsive Video Youtube" lets you quickly and easily display your most recent YouTube videos in your store. 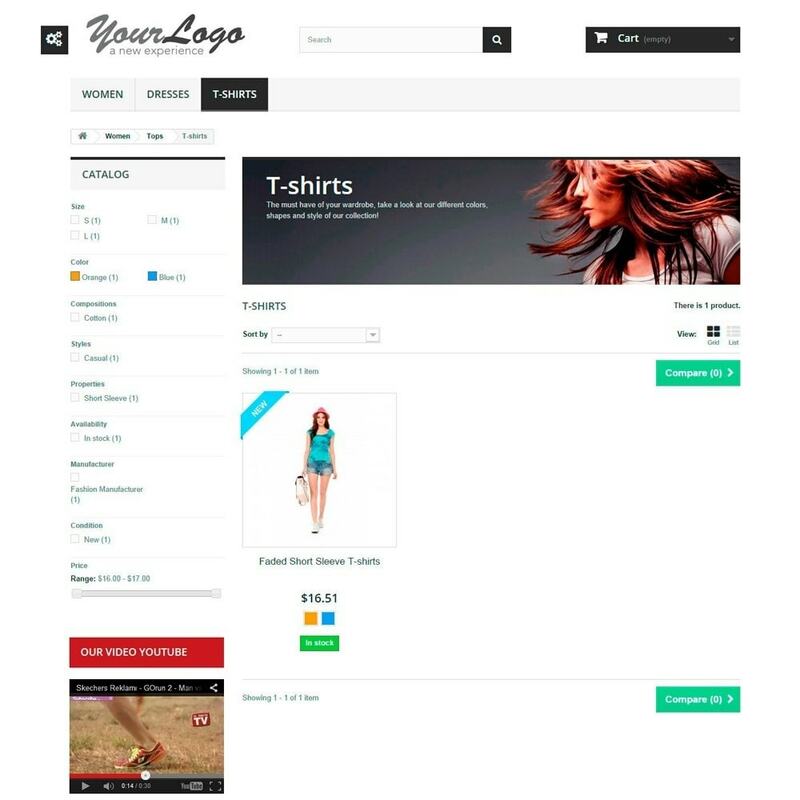 With this module you will get more professional and usability store. 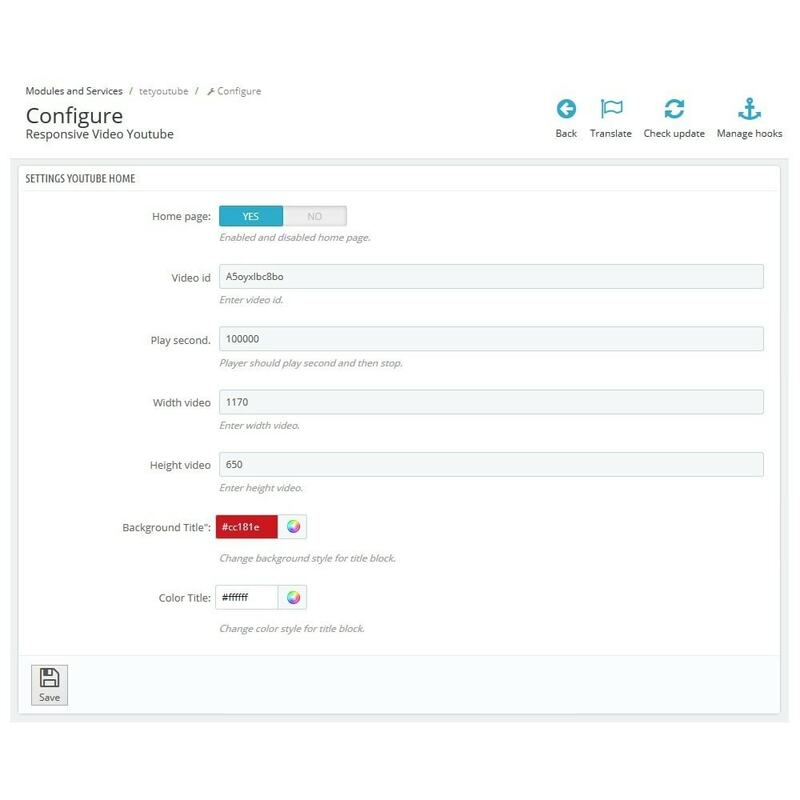 Positions of module: Home Page, Left and Right Column and Product Page. Player should play second and then stop. Change width and height, enable and disable positions video. Change background and color style . Completely responsive and mobile ready.